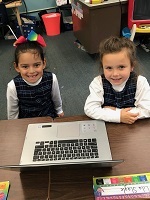 Saint Thomas Regional School offers a challenging interactive curriculum. 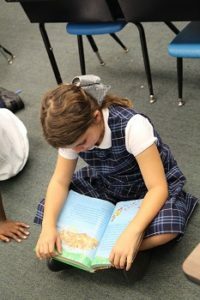 Our students regularly excel on standardized tests and our school’s reputation is widely recognized by area Catholic high schools. 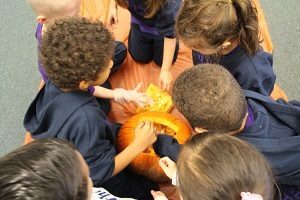 We believe that children flourish when they are encouraged to share their ideas and gifts in a comfortable and receptive environment. Our art integrated learning program calls upon the use of creative teaching strategies, typically used to increase student engagement and achievement. Our focus is to meet the needs of various learning styles through the use of hands on activities, diversified methods of teaching and learning styles. In the primary grades we utilize a variety of methods to optimize intellectual development. Guided reading groups, flex grouping, listening, writing and technology centers are just some of the methods we use to reach children with different learning styles. Instruction in the intermediate grades centers around the development of study skills, reading in the content areas, and organizational skills. Middle school instruction hones in on study skills, and long term projects which ready our students for the rigors of high school. Teenage formative years are difficult for young adults. At St. Thomas our faculty works in collaboration with parents to guide and offer students solace as they face the challenges of growing pains. They have the ability to freely express themselves in a safe and nurturing family-oriented environment and at the same time they are encouraged to grow as independent self-reliant individuals. St. Thomas Regional School is a proud certified Full S.T.E.A.M. ahead school! Our teachers actively participate in professional development and are up to date on the new advances in educational development. We are constantly working in close collaboration with local Universities such as Roger Williams University, Providence College and Rhode Island College. 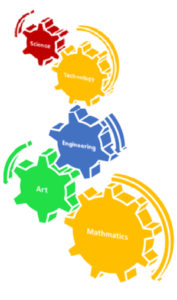 STEAM = Science & Technology illustrated through Engineering & the Arts, all supported by Mathematical elements. STEAM is an educational approach to learning that uses Science, Technology, Engineering, the Arts and Mathematics to inspire and enable student inquiry, discussion, analysis and critical thinking. All St. Thomas Regional students from Preschool to Upper school are actively involved in the STEAM approach. They engage in experiential learning, are encouraged to make educated decisions, take well thought out risks and must demonstrate persistence in problem-solving. 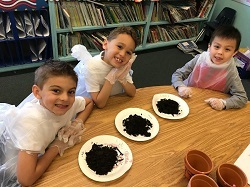 STEAM dedicated school wide projects that encourage hands-on exploration within each of the discip lines and at multi levels of learning Pre-K through 8.